Now, before we get rolling, I want to be clear. 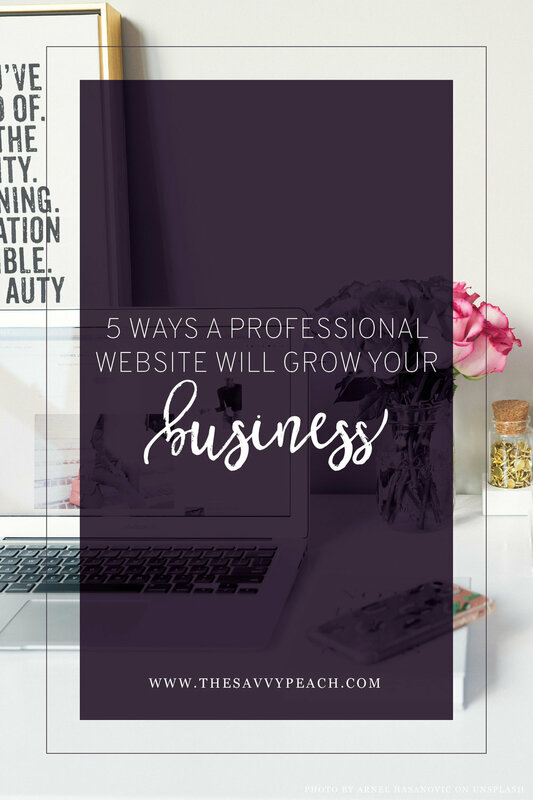 When I say "professional", I don't mean that you have to spend tens of thousands of dollars to have a beautiful website for your small business. I do mean that your website should be branded. You want your website to be a virtual brochure and business card that represents who you are and what you do. I started researching on the topic to make sure my personal opinion and the rest of the business world matched up on these 5. During this search, I stumbled across this beautiful graphic on Visual.ly. Since these 5 were right in line with my list below, I had to share it (because who doesn't love a pretty infographic, right?) Of course it says "Florida" at the top, but it applies to businesses everywhere! Clients do their research 24/7 when seeking the services you provide. Just because it isn't during business hours, doesn't mean they aren't scouring the web for YOU. Your business should be available at any hour on any day for potential clients to get to know, see what you do, and reach out. No, you don't have to respond to all inquiries immediately, but the information needs to be out there! Your website is the perfect place to connect with customers and potential clients. By using your website as another tool to promote specials or services and building your email list, clients will feel like you are easily accessible. Being easy to reach is going to boost your customer service goals simply because people like to be heard and have their projects finished (and problems resolved) quickly. Have you ever received a promotional card or business card from someone and wanted to do a little more research on their business only to find that they didn't have a website? How did that make you feel? Did you trust that they were a legitimate business? As the graphic so wonderfully states it, "a well-designed website adds credibility to the business and also enhances your brand." We all know how the Peach feels about a good brand presence... you want to talk the talk, then walk the beautiful-branded-website walk y'all. By utilizing your website as a marketing tool, you can save yourself some serious cash! There is no printing costs, no shipping, no postage... just a few bucks a month to host your beautiful site. Your website will help clients by providing information they need and will help you by driving business your way. Do you have a favorite website? I'd love to see it! Curious how the Peach can help you with your website? Drop us a note & we can chat!